We arrived at the Amtrak station in downtown Seattle on Saturday evening, at about 9:30 pm. The station isn’t far from CenturyLink field where the SeaHawks and Sounders play. On the night we arrived, there was a concert going on so the downtown area was busy. We requested an Uber ride and were on our way to our Airbnb rental. We decided to go with Airbnb this trip for a few different reasons – mostly centering around Matteo. Hotel rooms are great, but if we’re going to be somewhere for more than a long weekend, its nice to have a little more room so that Matteo can run around. Plus, with seven of us staying together we figured a rental would give us more time to hang out together (rather than everyone just retreating to their hotel rooms), and it gave us the luxury of a kitchen so that we wouldn’t have to eat all of our meals out. Tony and Brian did most of the leg work finding our rental for the week. We stayed pretty close to downtown, in a gorgeous 1920s house. One thing to know about homes in the Pacific Northwest? Air conditioning is not a given. That doesn’t seem to be a problem 99% of the time – after all, their summers are very mild. But the week we were in town? Record temperatures that reached well in to the 90s. So while it was an absolute fluke and not the fault of Airbnb or the house owner, that sucked a little bit. A few days in to the trip the owner brought over some fans to help circulate the air, which really helped. Seattle is a beautiful city. In my humble opinion, it ranks at the top of most beautiful U.S. cities I’ve visited. Granted, the week we were there the skies were sunny and blue, but I think even had it been raining, there’s just something innately lovely about the area. Its’ a combination of the water, the lush green, the architecture. I think it also helps that the people of Seattle seem incredibly proud of their city – and their love for it just rubs off on you when you’re there. 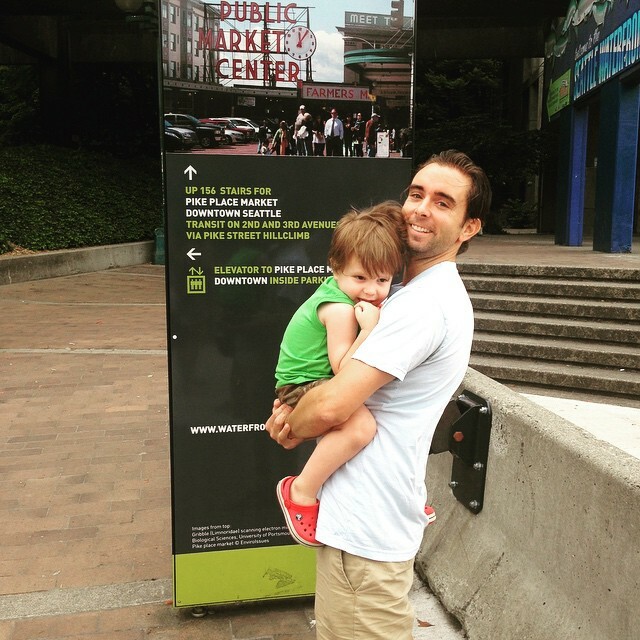 We did some of the touristy stuff you’d expect – we visited the Aquarium, and Pike Place Market. We took an evening ride on the giant ferris wheel, and a ferry ride over to Bainbridge Island. We spent a morning at the zoo and lunched downtown at Japonessa (best sushi!). We walked and walked and walked and walked. 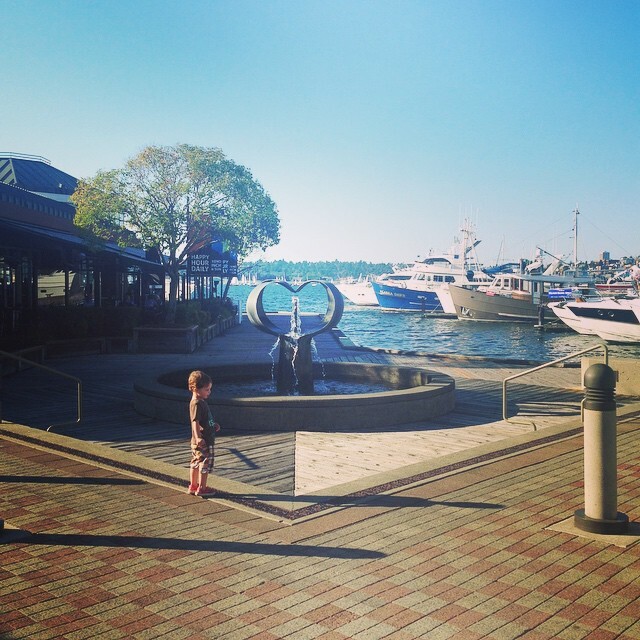 It’s no secret that one of the things that can make or break a city for me is its walkability – and Seattle did great! Tony’s parents did rent a car for convenience, which helped a ton and made working around Matteo’s schedule much easier – but we could have used Uber ad Lyft to get in to the city and then walked everywhere we wanted to go with ease. 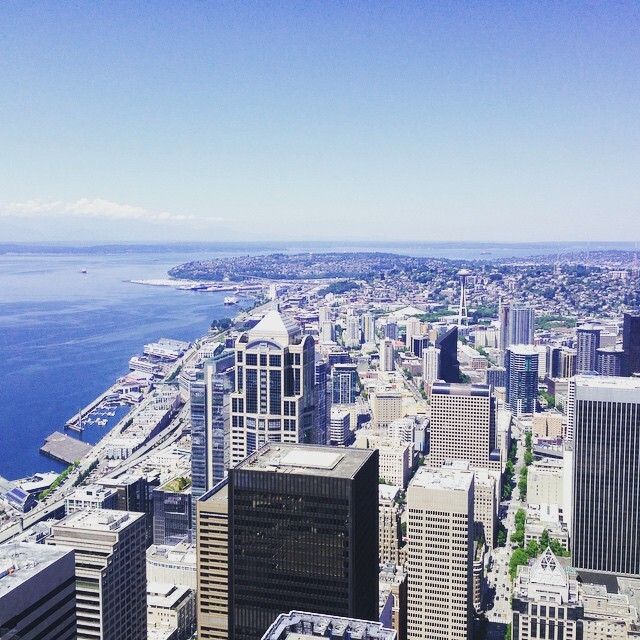 Fair warning to those not in decent shape – Seattle is hilly! We weren’t expecting that. It’s not like San Francisco hilly, but definitely more hilly than your average city. We left Seattle on Wednesday afternoon, arriving back at the Amtrak station where we grabbed the train to Portland. 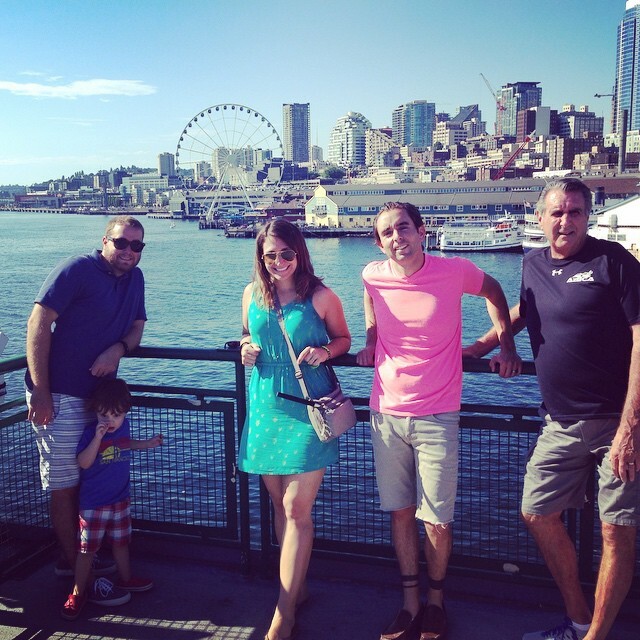 I think we had just enough time in Seattle – you could definitely hit the major hot spots in a long weekend, though if we’d had more time I would have liked to have taken in some hikes/more outdoors time. Picking up next time with all things Portland, Oregon! I am eagerly waiting for Portland. What a great trip.